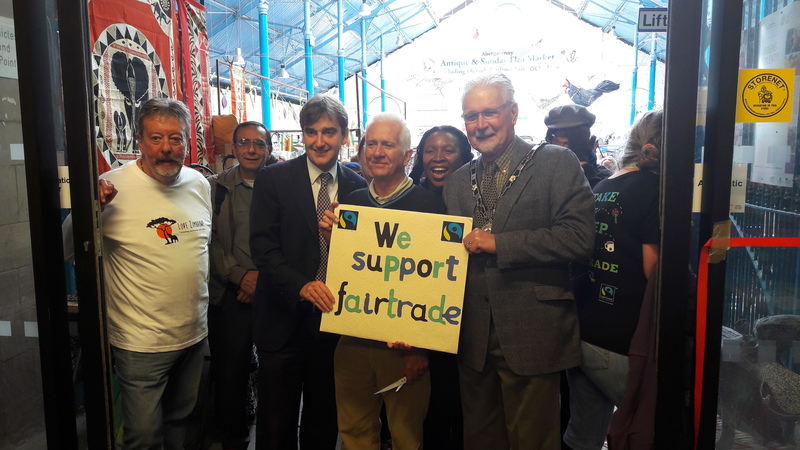 This year marked the 11th anniversary of the Wales Fair Trade Fair, organised by David & Martha Holman from Gilwern. The event highlights the importance of buying Fair Trade products from around the world. However, this year the couple also wanted to point out the relevance of buying from local traders as well. This is very important as these traders face some of the same problems as those who work in developing nations. Several local businesses who shared the same ethical ideas were invited to take part. The weekend started in Brecon, at the Guild Hall and attracted a good crowd, eager to buy early Christmas presents! 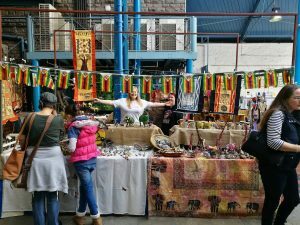 There was a good choice of hand made crafts from stalls such as – Love Zimbabwe, Ananuca, Mixy Fandino, Elena Day and African Bags. There were also some very informative charity stalls from the Brecon/Molo link group ethical financial advice from Shared Interest. The day was opened by the Mayor of Brecon, Councillor Ieuan Williams. After the event, there was a special treat organised for Saturday evening in The Market Hall, Abergavenny. 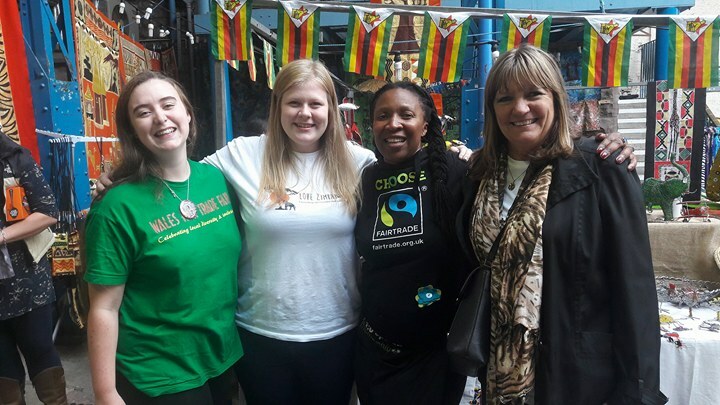 Martha and David had arranged a fund raising concert featuring the amazing accapella choir, Zim Voices, singer-songwriter, Danielle Lewis and headliner, Kizzy Crawford who is currently working on projects with BBC Wales. The evening was co-sponsored by Fair Trade Wales. The Market Hall echoed to beautiful songs, mixing traditional Zimbabwean music with a selection of Welsh language songs. It was the sort of musical diversity and quality that you would only usually expect to hear in a large city environment. We are indeed fortunate to be able to experience this sort of event in Abergavenny. 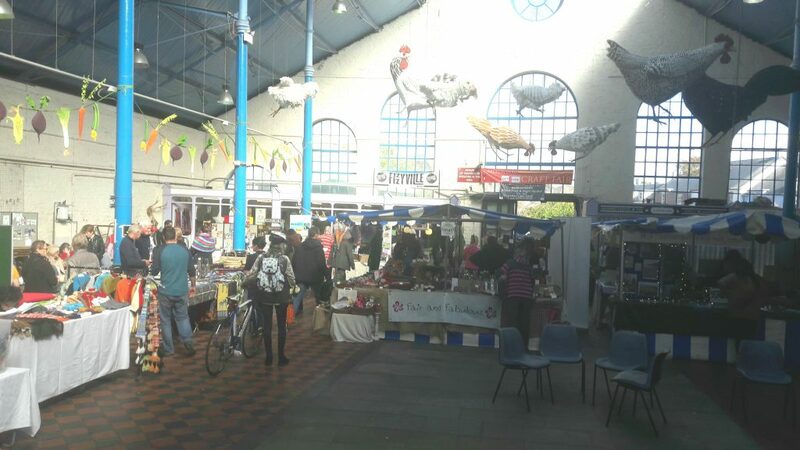 The following day the Market Hall was open for day two of Wales Fair Trade Fair. It was opened at 11am by the Mayor of Abergavenny, Councillor David Simcock, following speeches from Ffion Storer-Jones from Fair Trade Wales and a personal tribute to the organisers from Nick Ramsey A.M. There was a joyful atmosphere in the hall, enhanced by Chrys Blanchard and her wonderful choir. Then local band, Skylark led by Nick Smith played a tuneful set which was well received by the audience. The final musical offeringcame from long term supporter, Steve Garrett. The stalls present provide a colourful display of fascinating arts & crafts from all over the world, as well as from local traders. Stalls represented included- Love Zimbabwe, Fair & Fabulous, Mixy Fandino, Hempish, Love That Stuff, Ann Hall, Zimele, Annie Fraser, Share No Soul, Ethnic Elegance & African Bags. There was a great children’s workshop area run by Rebecca Hands and also featured ceramic painting from Debbie Damborough from The Play Den. Delicious Zimbabwean food was once again in evidence from Taste Zimbabwe and there was a unique opportunity to taste Syrian food provided by Lindsay Wright and the Abergavenny Sanctuary Town group. The Fairtrade tea and coffee stall was once again ably handled by the Abergavenny Fairtrade Forum and Fairtrade was also represented by the Usk Fairtrade group. Coffee was also sold by local link group, Yirgacheffe. Various charitable causes discussed their programmes, such as- 7 Corners, Hands Across The World, Bees for Development &Tools for Self Reliance. A wonderful day was had by everyone who came to support the day, and this amazing festival continues to thrive and grow. Money raised goes towards Love Zimbabwe’s projects in the country. Martha & David would like to thank everybody who helped make the event so special. Martha commented,’There were so many people who came forward this year to help us, including students from Lampeter and Newport Universities, local volunteers and technical experts without whom it could simply not happen. So many, many thanks to all of those who gave their valuable time’.